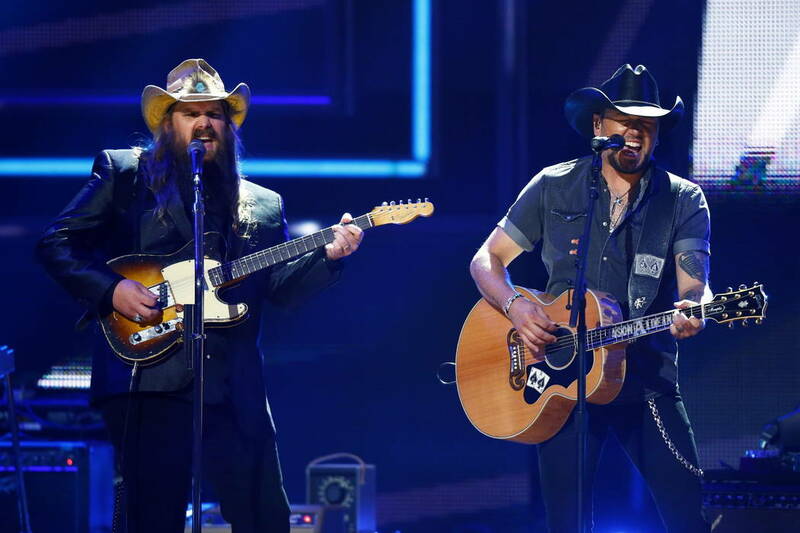 Chris Stapleton and Dan + Shay lead the nominees for Sunday’s ceremony at the MGM Grand Garden. The cowboy boots shall tread where no cowboys have tread before. 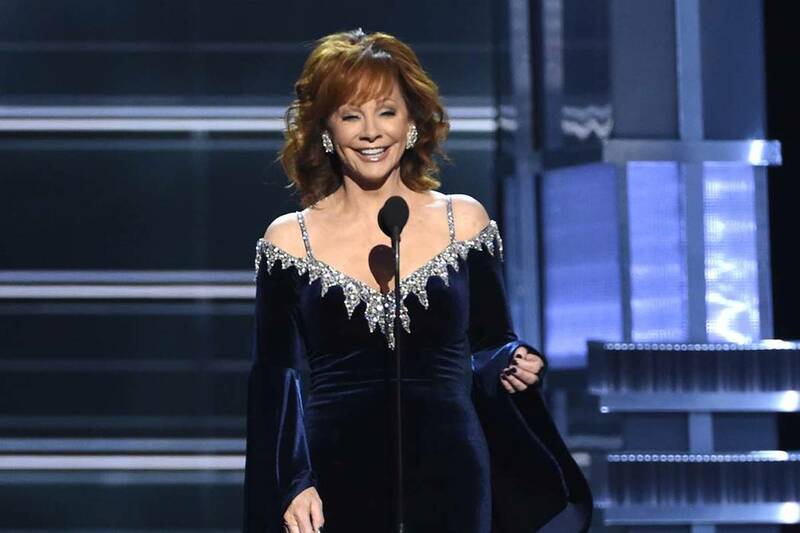 When the annual Academy of Country Music Awards return to the MGM Grand Garden on Sunday, the festivities will boast a fresh look. 1) Put his love on your back burner. 2) Underestimate the man’s trophy-compiling prowess. Seriously, it’d be hard to imagine Stapleton having a better ACMs than he did last year. Well, Stapleton celebrated his 40th birthday, won male entertainer of the year and album of the year and his wife gave birth to twin sons. This year, Stapleton is again a top nominee, tied for the most nods (six) with Dan + Shay. Stapleton wasn’t able to attend the ACMs last year for obvious reasons. Perhaps he’ll be able to accept any awards in person this time. Neck tattoos are kind of a new thing in country music. So is the 25-year old chart-topper who sports one. 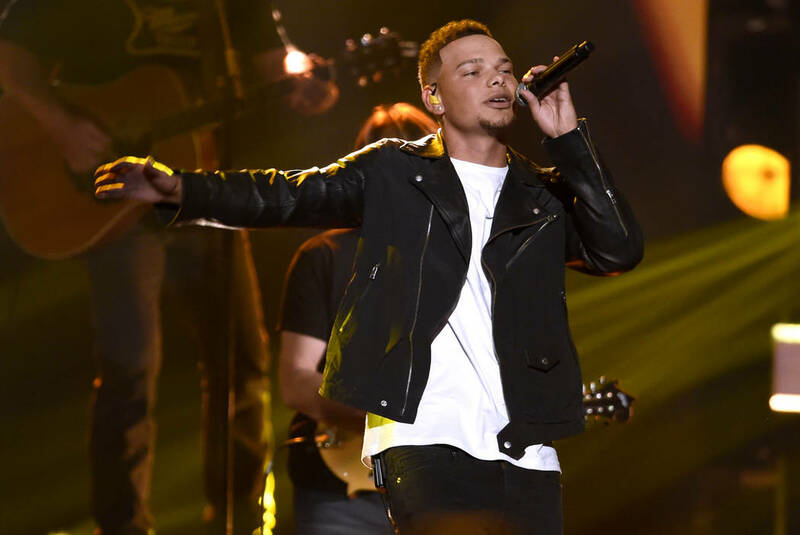 Ascendant singer Kane Brown — who’s up for single of the year for his hit “Heaven” and has the Chinese symbol for “love” stenciled into his flesh — brings fresh ink and influences alike to contemporary country with his R&B-indebted sound. It’s fitting, then, that Brown will perform with similarly soulful singer Khalid in the ACM’s most boundary-pushing pairing Sunday, one that underscores country’s increasingly permeable creative borders. 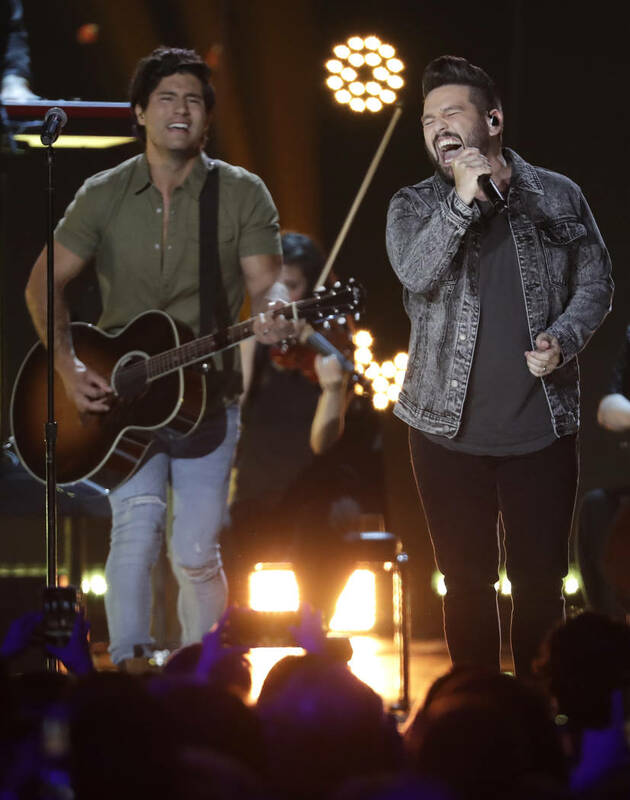 Other collaborations include Kelly Clarkson pulling double duty with Jason Aldean and Dan + Shay, Aldean reuniting with buddies Florida Georgia Line, Dierks Bentley dueting with Brandi Carlile, Eric Church performing with Ashley McBryde, and Maren Morris saluting “All My Favorite People” with Brothers Osbourne. It’s been his kinda party for, oh, over a decade now. A quick recap of Aldean’s career: 18 million albums and 39 million singles sold; 4 billion digital streams earned; four consecutive No. 1 albums; sold-out stadium tours; 13 ACM awards won, including three entertainer of the year victories. As such, Aldean will receive the biggest honor of the night with the artist of the decade award. ACM Flashbacks are kind of a country music gene map. As such, the genre’s past will be present Sunday when various hit-makers revisit hits of yesterday. In one pairing, 29-time ACM Award winners Brooks & Dunn will perform with ACM new male artist of the year Luke Combs. In another, 24-time ACM winner George Strait will share the stage with Miranda Lambert, the most decorated artist in ACM history with 32 wins. Together, they’ll turn back time for an evening.